Sorry for not posting in Italian, maybe someone of you will be so nice to translate? 12th to 14th of July 2019. This special offer is not bookable through the website of the hotel. Please book the hotel (or any other accomodation, see below) by yourself. Dogs are welcome for an additional 12.50 € per night and dog, but are not allowed in the restaurant. For other accomodation options please use your prefered booking portal or visit the website of Dortmund (click me). 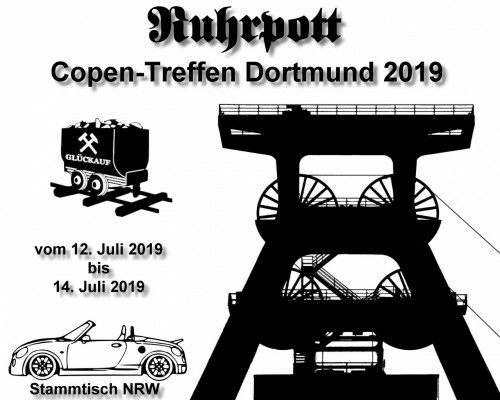 or registering at forum.micro-roadster.de and replying to the thread "List of participants"
We are very much looking forward to welcome a lot of Copen-drivers from abroad.